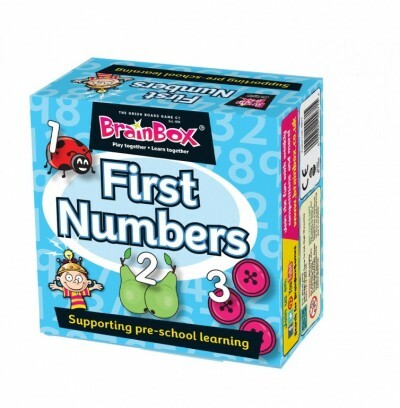 BrainBox First Numbers is designed to give pre-school children a head start. 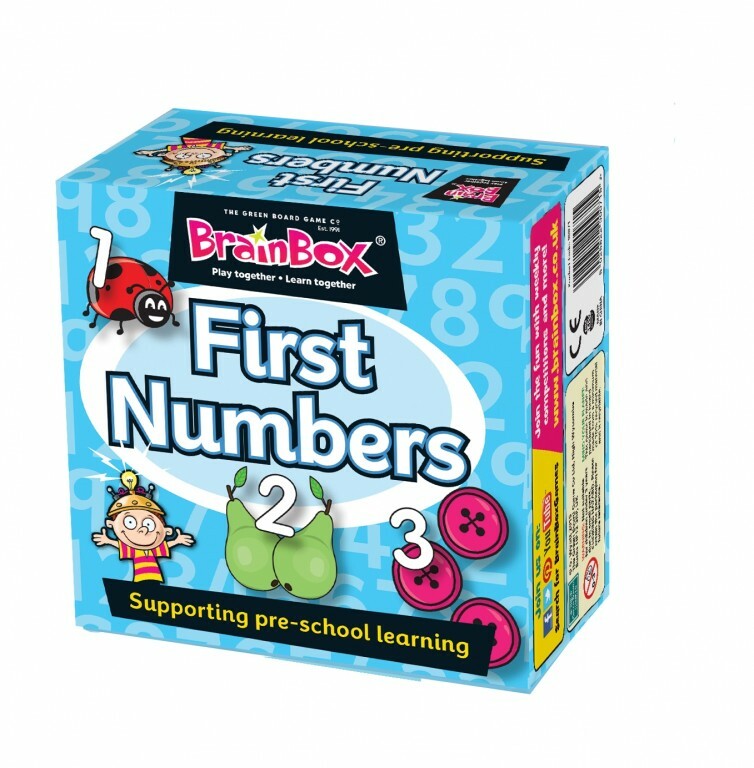 Each sturdy double-sided card shows three coloured images either showing different quantities or different numbers. The other side shows just one of each image with no numbers. As well as the game shown, the cards can also be used by children to talk about the images on the cards, or even tell a story that includes one or more of the images.